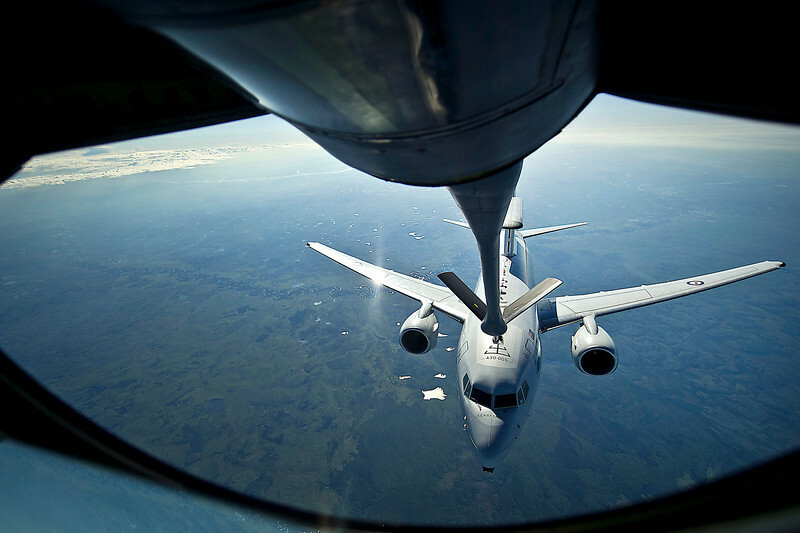 An Australian Air Force E-737 Wedgetail, Airborne Warning and Control System, moves into position to receive fuel from a U.S. Air Force KC-135 Stratotanker from the 349th Air Refueling Squadron, McConnell AFB, Kan., over the Joint Pacific Range Complex near Eielson AFB, Alaska, June 20, 2012, during Red Flag-Alaska 12-2. Red Flag-Alaska is a Pacific Air Forces-sponsored, joint/coalition, tactical air combat employment exercise which corresponds to the operational capability of participating units. The entire exercise takes place in the Joint Pacific Range Complex over Alaska as well as a portion of Western Canada for a total airspace of more than 67,000 square miles.